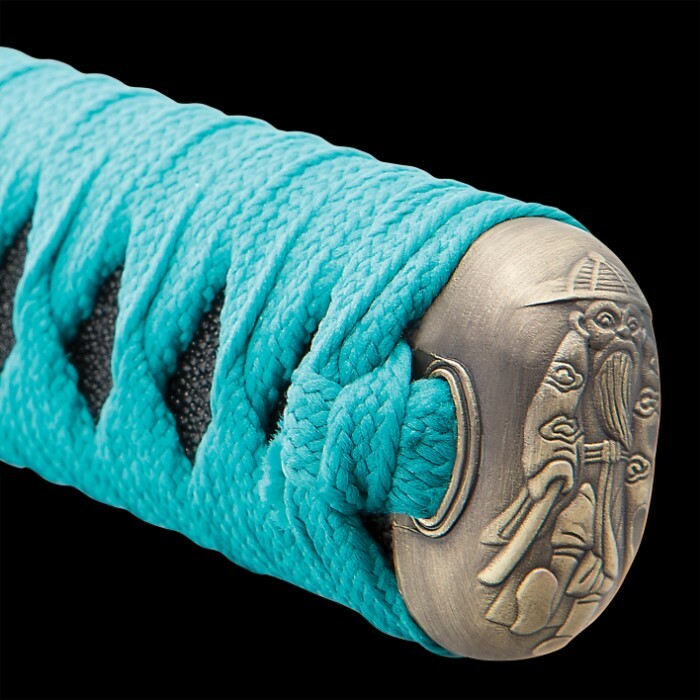 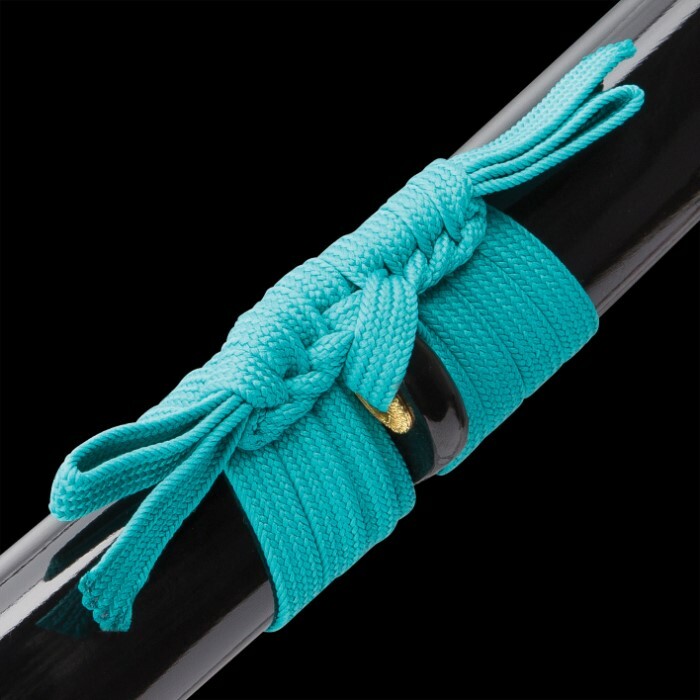 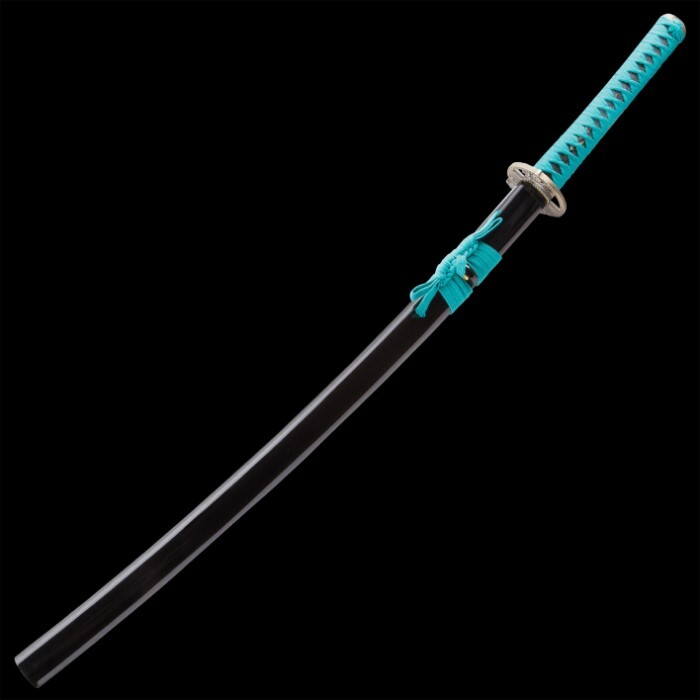 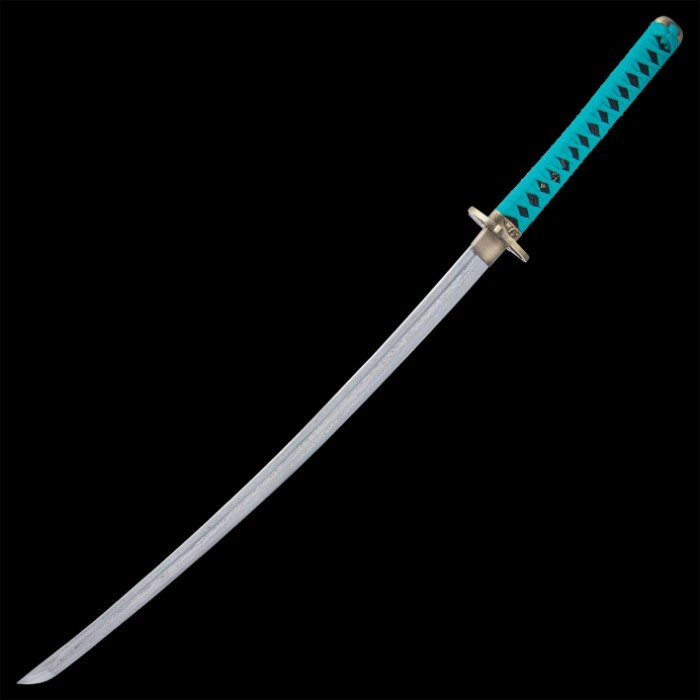 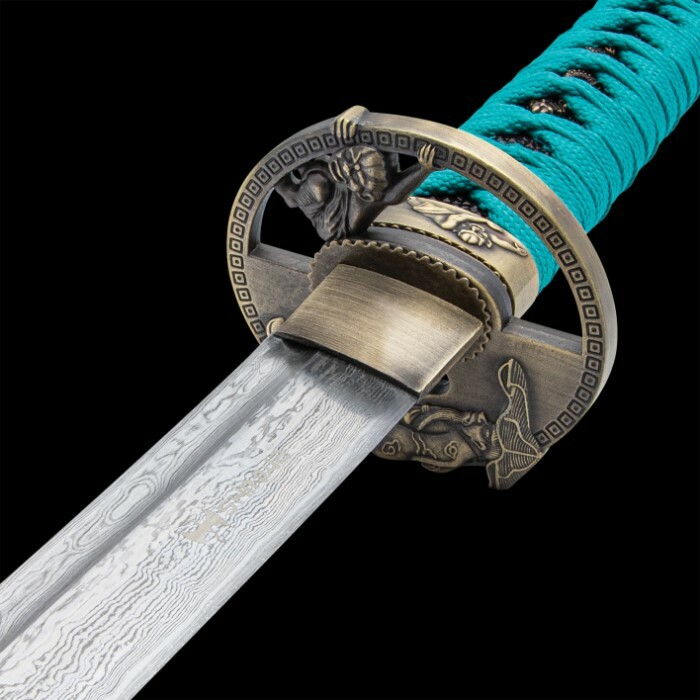 Shinwa Regal Katana Teal Sword Damascus | BUDK.com - Knives & Swords At The Lowest Prices! 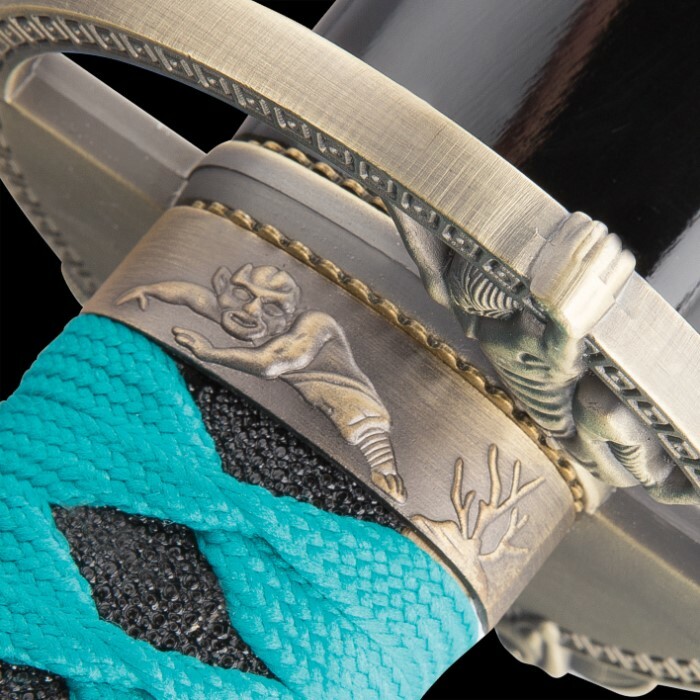 This superior offering from Shinwa offers a 26 1/2" blade of Damascus steel that has been hand folded to deliver more than 2,000 layers of outstanding cutting power. 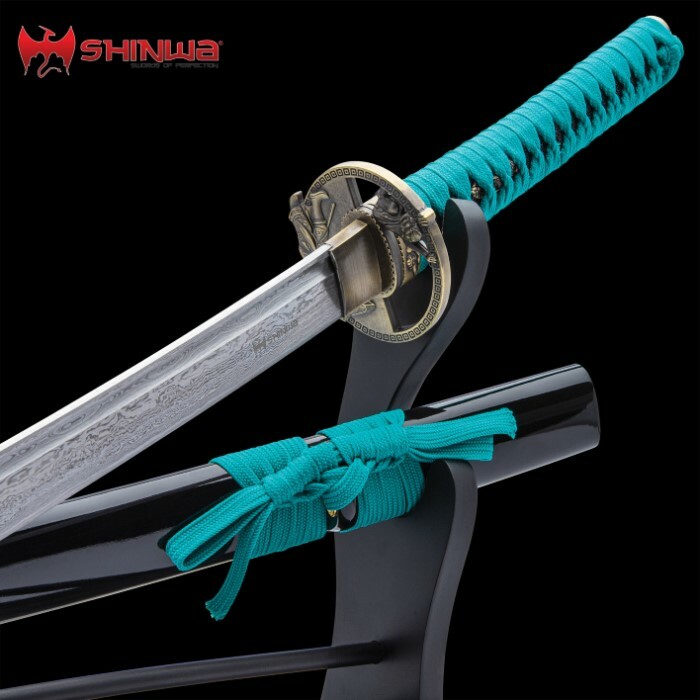 It is built to perform with razor sharp edges on both sides! 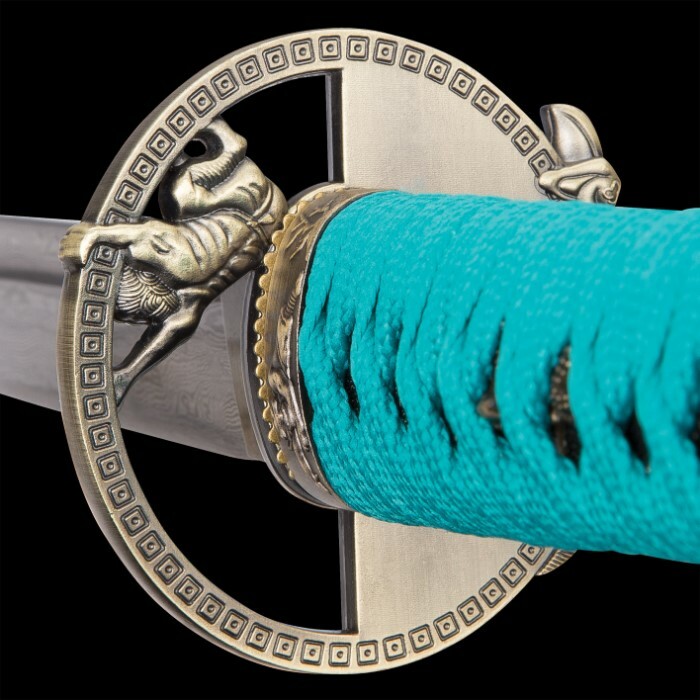 Measuring 39" overall, this sword features a hardwood handle that has been covered with ray skin and then traditionally wrapped in nylon cording.